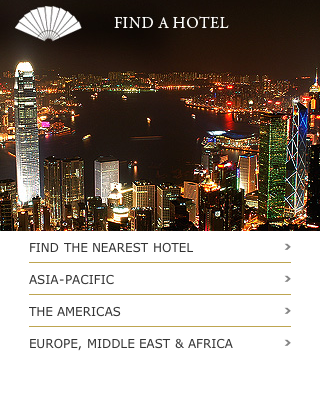 The home screen is simple, focusing on finding a hotel. Clicking ‘Find the nearest hotel’ gives an alert asking to use your current location — something which is normally found only in iPhone apps. The hotel home screen is again simple, with a few key choices — Book Now, Call Hotel (which offers to call the hotel directly on an iPhone), View Map (opens the Maps application on an iPhone), and Photo Gallery. The site is a pleasure to use, every detail is well thought out, and the site keeps on rewarding the user. 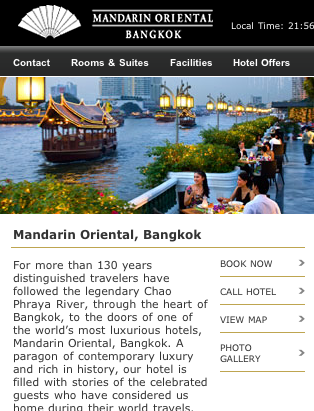 This sets the standard for mobile web sites in hospitality.